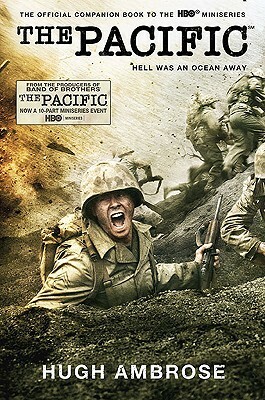 "The Pacific" depicts the stories of a few American servicemen as their individual experiences wind and intertwine through the war against Japan from 1941 through 1945. Though this book is not necessarily for gaining all of the details of entire campaigns or battles, it does give the reader a taste of what the experience entailed through the eyes of an average US citizen soldier. It was instrumental for me in putting the series of campaigns as they progressed through the war into a better perspective and also provided me with a clearer picture of how the post-war events (i.e. anti-communism) came about. Hugh Ambrose may not be Stephen Ambrose, but he is an excellent and passionate author in his own right and will most certainly grow as he continues writing. I'm looking forward to another work of Hugh Ambrose. Sign into Goodreads to see if any of your friends have read The Pacific.